Samsung Galaxy series is somehow getting more popular than any other series. So Samsung has yet again come back with its latest Android based Smartphone called Samsung I9001 Galaxy S Plus which is also popularly known as Samsung Galaxy S 2011 Edition is another Android based Smartphone of Galaxy generation. 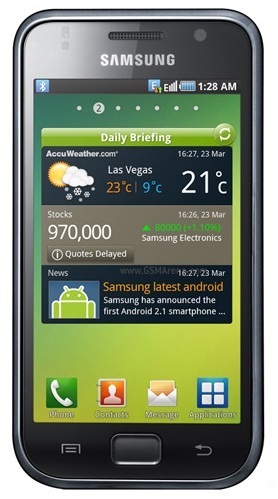 Samsung I9001 Galaxy S Plus have got lots of built-in features which makes it quite unique from other smartphones available today. 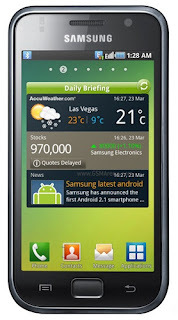 Samsung I9001 Galaxy S Plus is basically based on Android V2.3 Gingerbread OS and it is powered by 1.4GHz Scorpion processor. It has HTML browser and FM radio with RDS. It has A-GPS Support and it will be available in Black and white colors. The Galaxy S Plus is a 5 MP camera comes with touch focus, face and smile detection. Video Recording is supported resolution of HD, 1280×720 720p@30fps. You can also use various other facilities like Digital compass, document editor, organizer and Social networking integration. MP4, TV-Out, Gmail, maps, and Google search facility is also available. It has Super AMOLED capacitive touch-screen with 16M colors. It has 2G network GSM 850/900/1800/1900 and 3G network GSM HSDPA 900/1900/2100. Samsung Galaxy S Plus comes with Android 2.3 Gingerbread OS skinned with the beautiful Samsung’s own Touchwiz 3.0 UI customizations, packing with a 1.4GHz Qualcomm MSM8255T processor, sporting a 4 inches WVGA Super AMOLED display, and a 14.4Mbps HSPA+ radio, 5 Megapixels rear-facing camera with 720p HD video capturing capability and an additional VGA front-facing camera, 8GB card inserted, micro-SD card slot for 32GB memory expansion, 512MB RAM, 2GB ROM, Bluetooth 3.0, Wi-Fi 802.11 b/g/n, USB 2.0, Android Market and powered by 1650mAh standard battery. 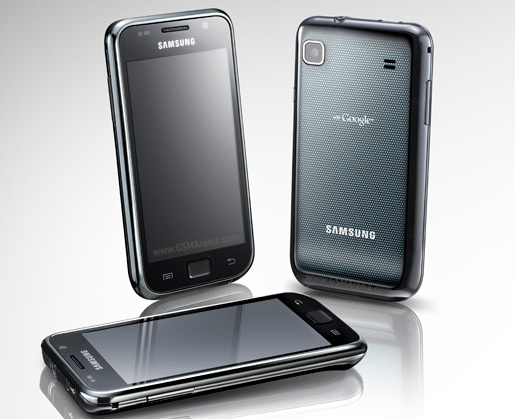 The price of the Samsung Galaxy S Plus I9001 would be around ($842 US Dollars Or €540 Euros) and It will be available in May, 2011.